We’ll open our web for sale second week of July 2016. Introducing Unikat! Now adapted to Missouri climate for the last 3 years. Quantity is very limited, as we are trying to build our stock. Also, please check out our Czech Sampler pack. Last fall we brought 3 new garlic strains from Czech Republic to increase our Czech collection: Tantal, Slavin and Karel IV. We will be adapting them for a couple of years to our local climate. We are most excited about Karel IV which is very large (3+oz) garlic with potent garlic flavor and excellent storage time. 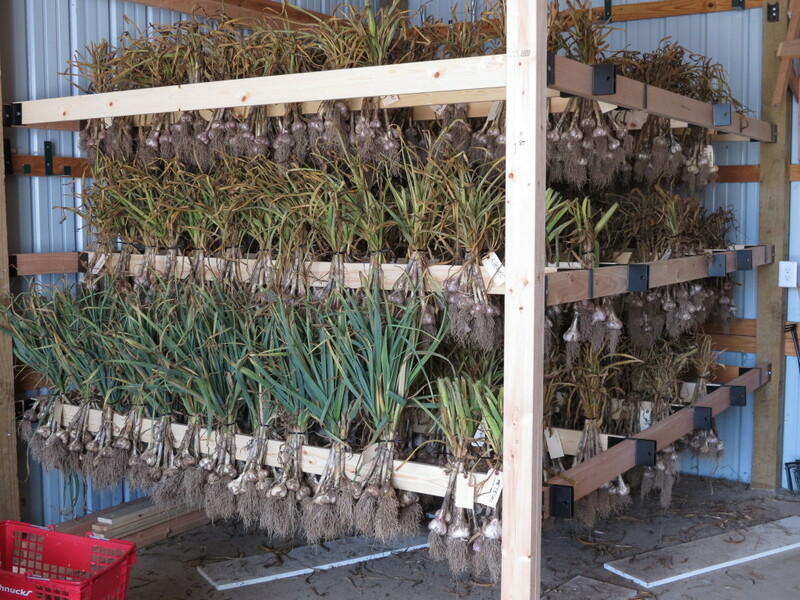 We are hopeful that it will adapt well to the climate and continue to develop the infamous 3+oz bulbs. We will be accepting orders starting in mid July, 2015! MoGarlic is officially a “Certified Naturally Gown” Farm! Garlic And Its Effects On Your Health! Garlic is often referred to as a natural antibiotic, due to its antibacterial and anti-inflammatory effects. Ancient civilizations knew this fact, and therefore consumed it regularly. Garlic contains vitamins A, B, and C. It is also a great source of calcium, iodine, and selenium. Some people may experience side effects after consumption of garlic such as: heartburn, allergic reactions, nausea, diarrhea, digestive problems due to malfunctioning of the liver, gallbladder, or pancreas. In this case, do not consume garlic in large quantities. If you must strengthen your immune system, consult the suitability of the frequent use of garlic with your doctor. Effects of garlic on human health are enormous, if you consume garlic a few times a week. In the flu season or when you start feeling sick is recommended to eat at least one clove a day. If you love garlic, and you can use it in everyday cooking, your body will thank you. Why should you grow your own garlic? Garlic is native to China but over the centuries it spread to Europe and the rest of the world. 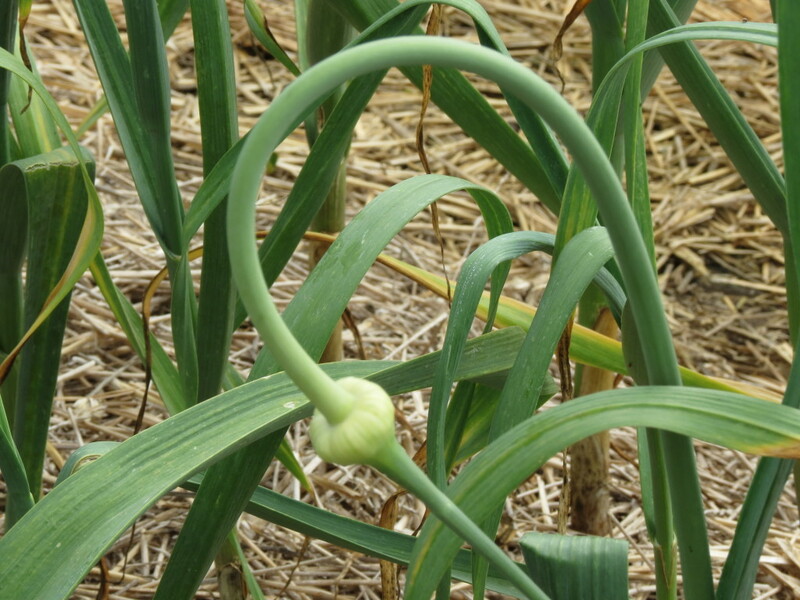 Europeans (French, Italians, and Czechs) are still growing the best garlic in the world. The biggest producer of garlic continues to be China. 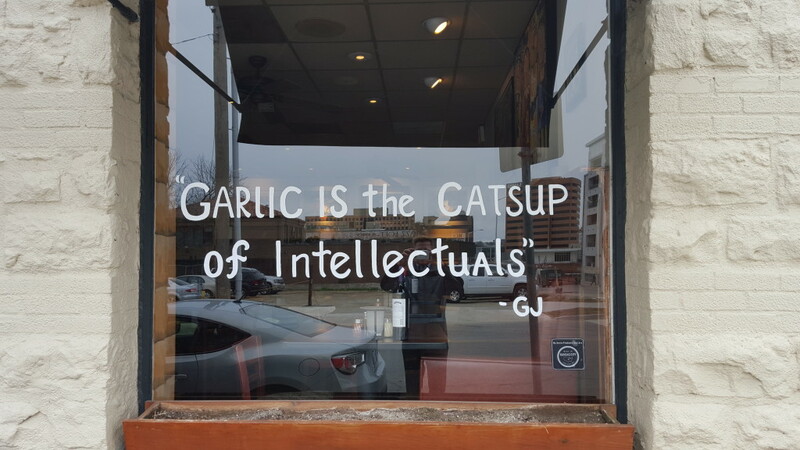 They produce ¾ of the all the garlic available today. Every supermarket in the US is selling Chinese (softneck) garlic. What most people don’t know about China’s “supermarket” garlic? 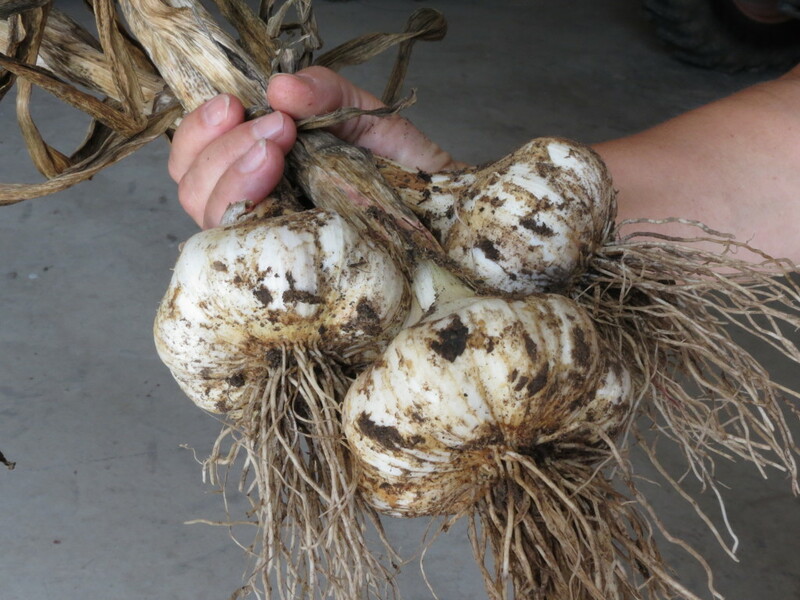 China’s garlic is often fertilized with human feces. It is bleached after harvest. The garlic is already 1 year old by the time it gets to the supermarket shelves. Unfortunately, the garlic found in supermarkets throughout the US is bland, missing flavor, aroma, pungency, vitamins and minerals thanks to the chemical treatments. If you are a lover of garlic, you are better off growing it for yourself. Our government does not have any other choice but to order from China due to a lack of domestic supply. If you have a small garden please consider growing your own supply. It is super easy to grow!!! Bogatyr – Bogatyr garlic has awesome heat and flavor. It has a great garlic flavor with a tingly hotness. The bulbs and cloves are large and store well up to 8 months. Carpathian – Carpathian garlic is a favorite among garlic growers due to its hardiness and wonderful flavor. Chesnok Red/Shvelisi – Chesnok Red aka Shvelisi is known for being the “Best Baking Garlic”. It has a full bodied flavor that lingers and is retained after cooking. Chesnok Red is the sweetest of all the baking garlics. Dukat -Dukat garlic is hot with a very good flavor. It stores well up to 1 year. Dukat has a high concentration of allicin and is very disease resistant. German Red – German Red tastes great in stews, roasts and gravy. Has a complex, strong, and rich aromatic flavor. Inchelium Red – Inchelium Red is the “National TasteTest Winner!” with a mild, lingering flavor with a tingle. Killarney Red – Killarney Red is a very hardy grower with tolerance to wet growing conditions. Its flavor is very rich, hot, spicy with a robust garlic flavor. Lukan – Lukan has a garlicy flavor with a bit of heat. It stores well up to 10 months, and is tolerant to wet conditions. It is the most productive of Artichokes. Matus – Garlic with wonderful garlic flavor and hot taste, suitable for long storage up to 10 months. Very tolerant to cold conditions. Music – Music is an Italian variant great for baking with robust flavor. It has a hot, rich, and strong flavor. Nootka Rose – Nootka Rose has a strong and aggressive flavor. It is easy to grow and is very hardy. Red Rezan – Great for roasting with a flavor that has medium heat with little after taste. We highly recommend using Red Rezan with meats and veggies. Ropal – This garlic has very hot, nutty taste that will leave your mouth tingling. Stores up to 5 months. Rusak – Rusak is hot with large bulbs. Stores up to 1 year. Easy to grow and very adaptable. Vekan – Vekan is disease resistant, very productive, and hardy. It stores well up to 10 months. It is medium to large in size. Its flavor is sharp and rich. Zemo – Zemo is a spicy and hot Georgian/Russian variant that is easy to grow, disease resistant, and tolerant to cold conditions. It has a high amount of allicin, averages 4 to 5 cloves, and stores well. 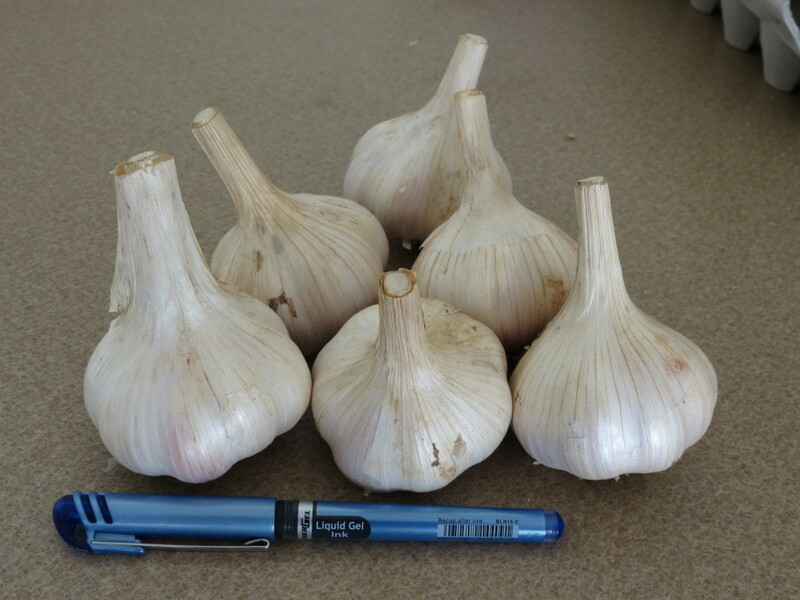 Huge Bulbs on display from our Inchelium Red Garlic! Got Garlic?? We are going to be accepting orders very soon. If you want an early start please contact us and we will reserve your garlic. We are so excited to bring MoGarlic to the masses for the very first time. 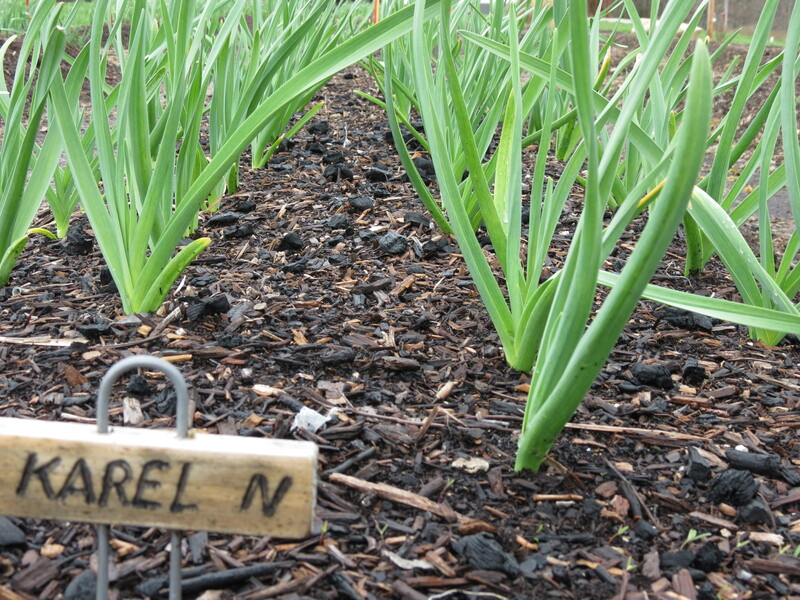 We have only been providing garlic for local growers, friends and family over the years. Please allow us to help you with your garlic needs. Harvest is nearly here and we cannot wait to start fulfilling orders. If you are not sure what you want please contact us and we will help guide you with your first purchase.